We had to wait only a few minutes for our $5 bowls at Wah Kee Big Prawn Noodle shop. Karma, baby! This little hawker shop at Pek Kio serves noodles and broth just the way I like it. 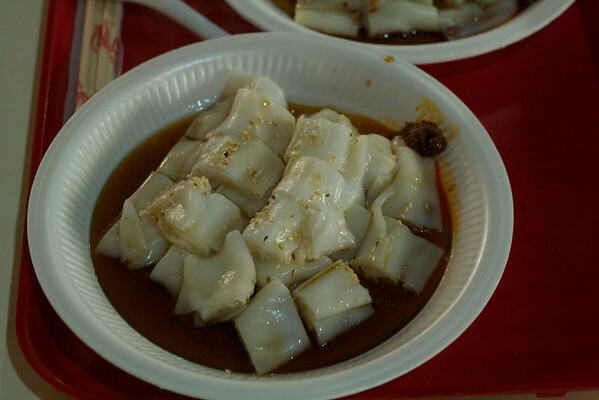 A bowl of ambient temperature flat rice noodles was served with crunchy bits, bean sprouts and spicy oil, like dan-dan noodles. A separate bowl of hot delicious shrimp broth came with two juicy jumbo shrimps. When served separately, the noodles and broth can be independently perfected and enjoyed. Every time I am outside of the cocoon of SF Bay Area, I am humbled at the sight of hard working people in their 70s and 80s. 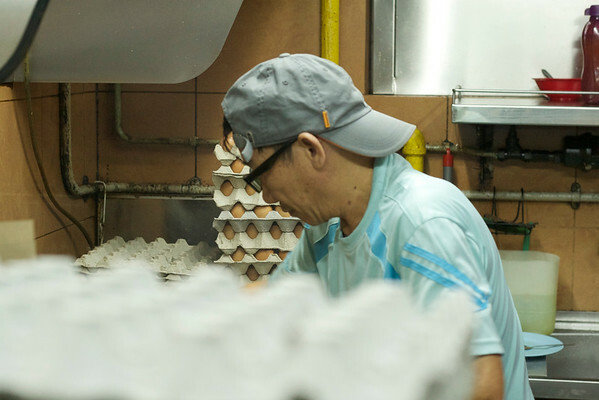 At Wah Kee, grandfather meticulously puts the shrimp broth together, one bowl at a time. 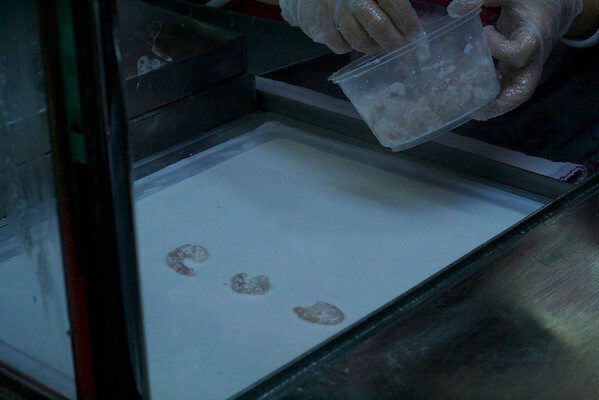 Shrimps are cooked after the order is placed. 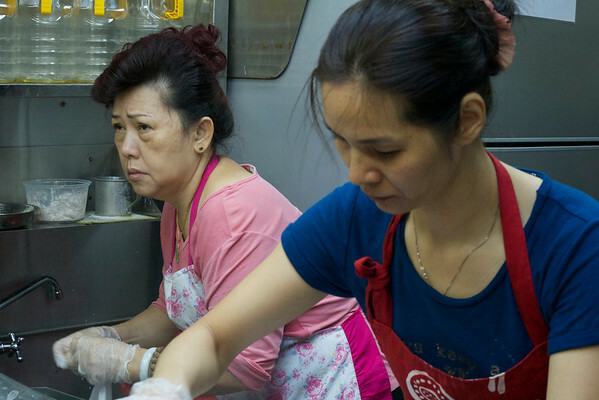 Grandmother serves the customers, and puts together the noodle bowl. She is supposedly a bit moody but we did not see any evidence of that. She helped us choose the right type of noodles (gluten free) and afterwards when we went up to thank her, she shook our hands and gave us a lovely smile. It was too muggy to bring a mobile phone to the food center but if you want to see photos, check out the links below. Here is where we got our recommendation from. 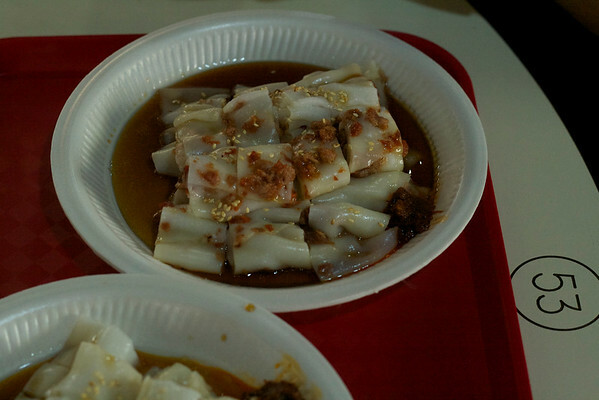 Another foodie whose site I must wade through before our next trip to Singapore. For coffee we recommend Cambridge Coffee Stall – serving rich coffee made cowboy style and served with a small tsp of condensed milk. A clean kitchen towel is placed on the steamer. A thin rice batter is poured on the towel and ingredients laid on top. In this case, shrimp. 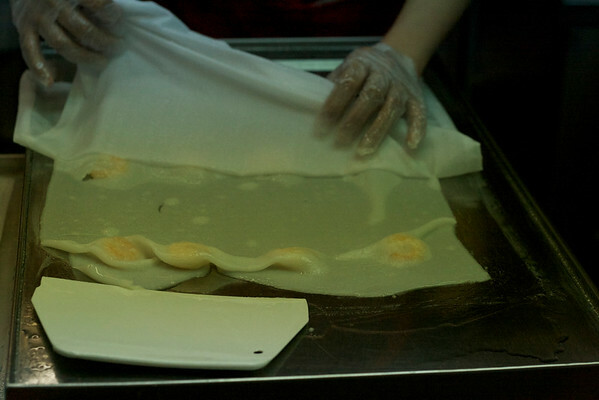 A cover is placed and the noodle sheet is steamed for a minute or so. On a different station, oil is first applied on the pan. The kitchen towel is laid rice noodle sheet side down and a spatula is used to loosen the towel. The towel is then picked up by hand. leaving the noodle on the pan. The noodle is rolled up and cut up. Plain noodles with sprinkled sesame seeds, a rich broth with five spice flavor, a tea spoon of red pepper the side. 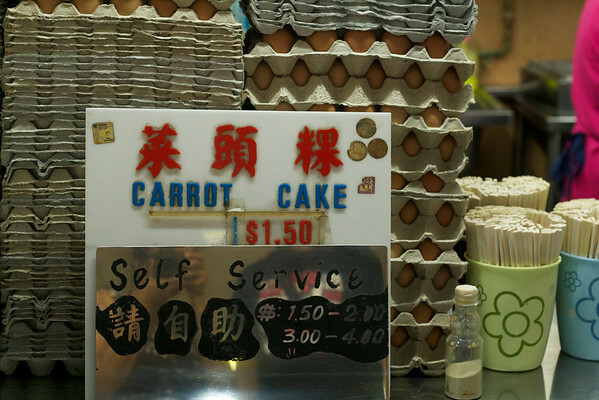 There is no carrot in this carrot cake (Chai tao kway). No sweet either. Daikon radish cakes (Luo Bo Gao) are chopped up and fried with “Good Spice” flavors, eggs, scallion and soy sauce. The fried cakes get chewy and the eggs are soft. Perfect anytime food. Chef and co-owner. During the total of 30 minutes I saw him on three different mornings, he never stopped moving his spatula. 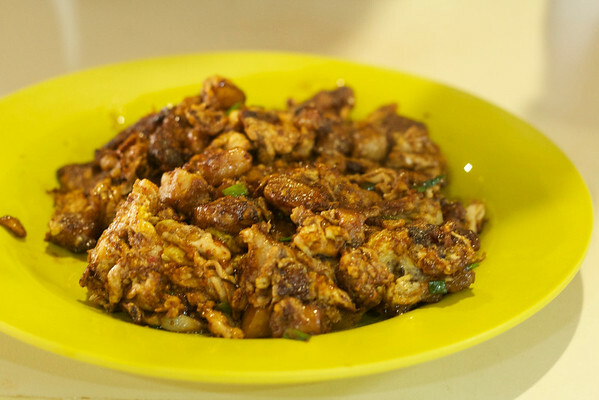 Thick Indonesian style soy sauce is added at the end to lend sweetness and umami flavor.